Cliff Bleszinski’s new team-based shooter LawBreakers will begin closed beta testing on March 16. Boss Key Productions (dev team) announced that an initial test set to run through March 19. Before that, the game will make its public debut at PAX East, with new features (like maps and heroes etc.). 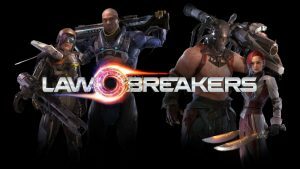 Sign ups for the LawBreakers closed beta can be made at the game’s site.